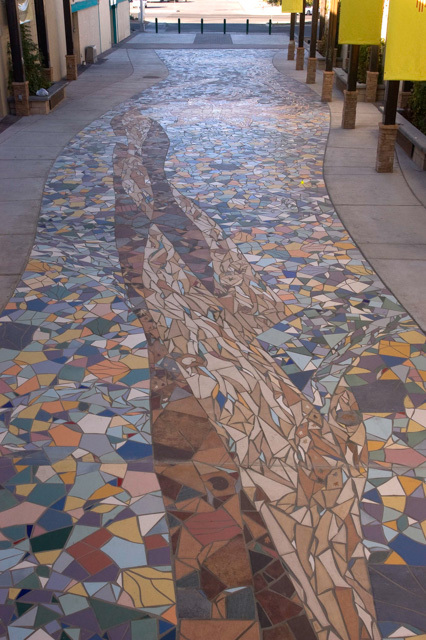 The City of Las Cruces is considering a proposal to lease part of La Placita Park and Earth and Cosmos mosaic to a private developer. The business is required by law to install a permanent fence since they plan to sell alcohol. This decision will not go to the City Council. The decision to lease La Placita and give permission for a private business to fence off part of the park is at the discretion of the City Manager. If you would like to make your thoughts known, please contact the new City Manager, Stuart C. Ed at sed@las-cruces.org by this Thursday.